Warburtons have a long-standing relationship with the British Heart Foundation and this January they have teamed up to try to raise £1m for the Wear It Beat It campaign. 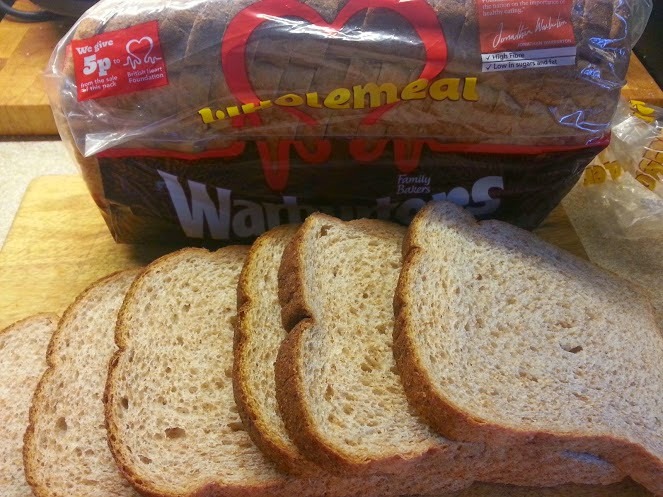 Until the end of February 5p will be donated from the sale of every loaf of Warburtons Wholemeal sold. Wholegrain carbohydrates are a very important part of a heart-healthy diet and Warburtons are committed to helping their consumers put their heart first. We like their wholemeal bread, not only because it's delicious, but because the 'bits' are really fine and so the children don't moan. 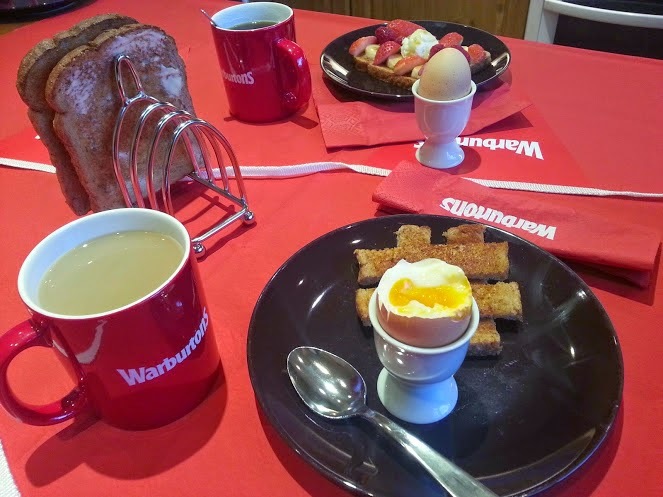 Warburtons want the UK to get involved, grab a loaf and hold a Big Red Breakfast for friends, family or colleagues on Friday 6 February and raise a few pennies for the British Heart Foundation. Spend time together chatting and catching up over the most important meal of the day. 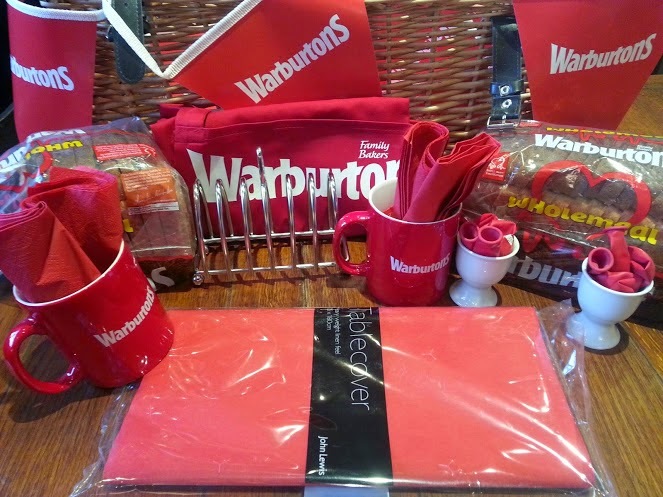 The theme is red, so be creative and raise a smile - and don't forget to upload your photo's to the Warburtons Facebook page! The British Heart Foundation advice for heart-healthy eating is very straightforward and mainly involves eating a well-balanced diet. only a small amount of foods and drinks high in fats and/or sugar, and substitute saturated fats such as butter with unsaturated e.g. 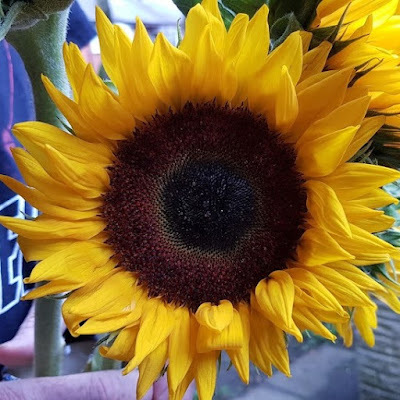 olive or sunflower. 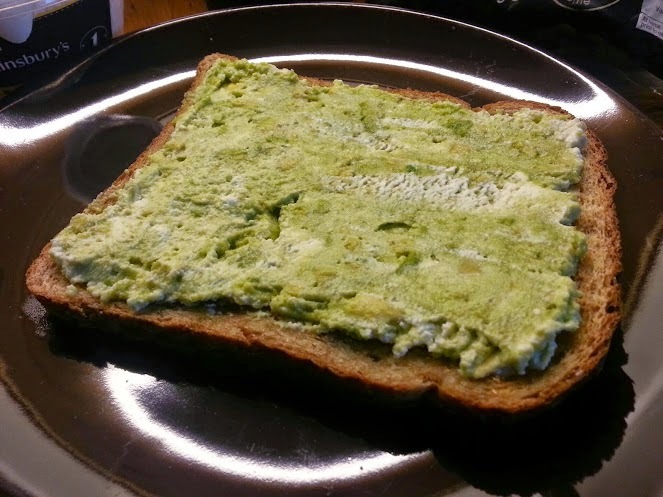 Ricotta cheese and Avocado smashed together with a little seasoning (I'd have added a drop of lemon juice, but mine turned out to be empty). 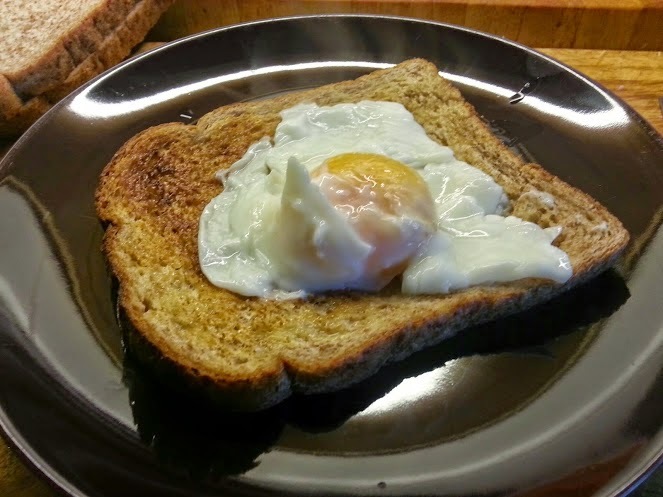 A poached egg. Low fat and protein rich, cheap and easy. Fresh fruit and a tablespoon of ricotta cheese, with a little extra sweetness from honey. Although honey is widely considered to be a slightly better option, a spoonful genuinely contains more sugar than an actual spoonful of sugar, so be sparing. 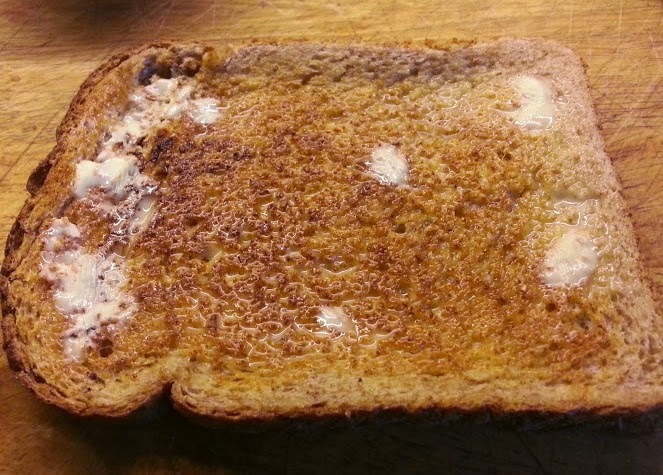 This works very well with 'eggy bread' (Gypsy toast), but be careful how much fat you use to cook it. 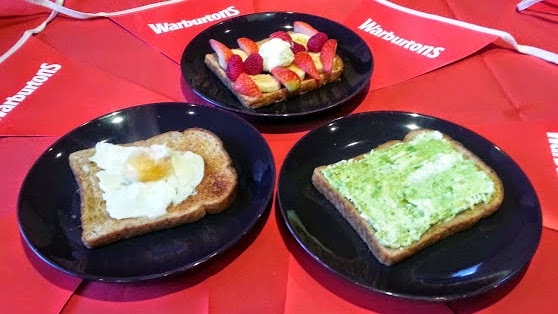 Warburtons Wholemeal is available in both 400g (rrp 96p) and 800g (rrp £1.48) loaves from all major supermarkets, most small local chain newsagents and corner shops, and if you live less than 20 minutes drive from the Head Office and bakery like we do - it's everywhere!! 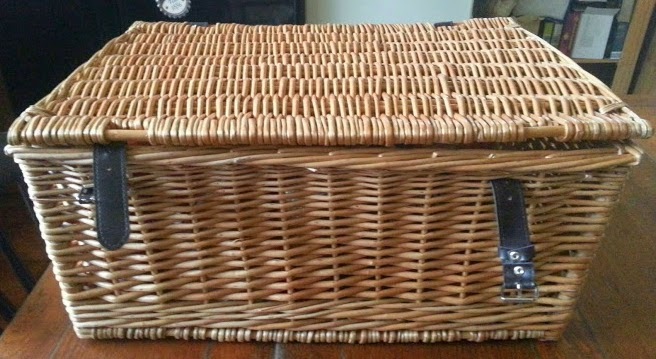 I was sent my hamper in order to create my own Big Red Breakfast and share ideas for healthier eating. A great cause for them to be supporting, one that is very close to me after losing my Grandad through heart disease. It looks like a lovely hamper of goodies for you too. Did you just smash equal parts ricotta and avocado to make that? Do you suppose cottage cheese would also work? 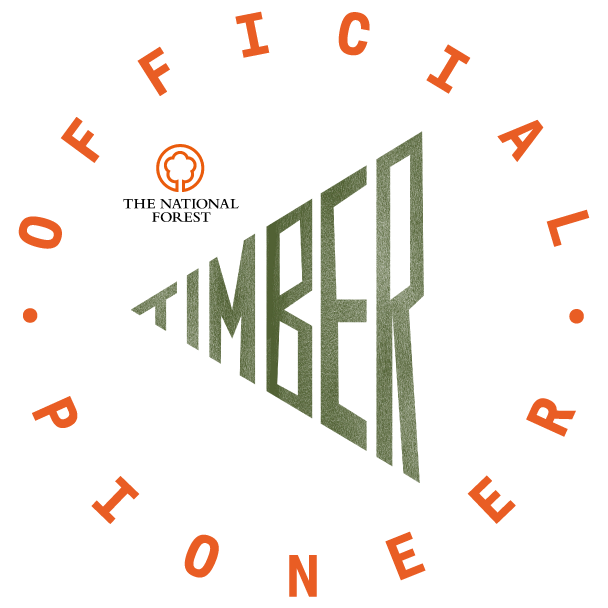 It looks fantastic. 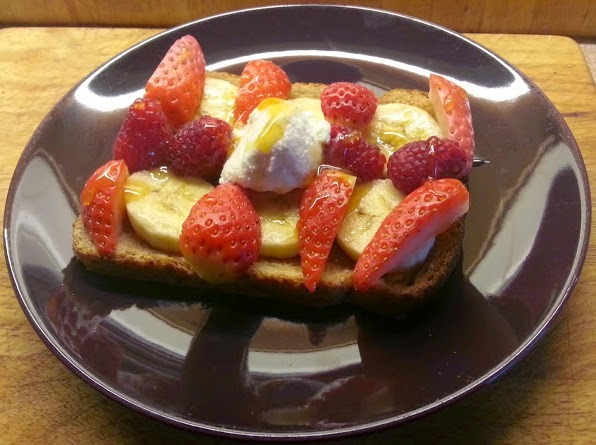 Fresh fruit, ricotta cheese and honey bread look fantastic. They must be very delicious!